In my past few posts about the fabulous TouringPlans #Everywhere adventure, I discussed my excitement about going to Disneyland and how I went about budgeting for my trip. This article is going to be very different because I’m going to get into my expectations, hopes, and fears about Walt’s first park. Even though the October trip will be my first to Disneyland, no Disney parks fan can be completely ignorant of what goes on out west. Over the years I have built up quite a mental database of things that I think I think about the Disneyland Resort, in the process pushing old stuff out of my brain such as the state capital of Minnesota. Some of the things below I know for sure and some are speculation, but all are rhetorical. That’s right–I’m not looking for any confirmation or contradiction whatsoever to the ideas below. I will find out in a few short months and follow up with my findings then, please allow me to continue my limited ignorance (about Disneyland. My general ignorance is boundless). As is natural for someone who has visited Florida often, I tend to compare everything at Disneyland to its equivalent at Walt Disney World. It also helps that the Unofficial Guide to Disneyland contains a comparison chart that Disney World-ers like myself can use. The author Seth Kubersky knows a ton about the differences between the two resorts (and hopefully we’ll get him out of Diagon Alley at some point to hear more about it). I’ll get to the incomparable things in a bit, but first, here are my general assumptions about those entities that exist on both coasts. Fantasmic! — I am not the biggest fan of the Disney’s Hollywood Studios version of Fantasmic!, but I am very hopeful for the show held along the Rivers of America in Disneyland. I know it’s right within the park, I know that the dragon is very impressive, and I know that people get their spots hours beforehand (something I am decidedly not excited about). People that have seen both versions seem to unanimously pick Disneyland’s as the best. Pirates of the Caribbean — This is another one that people unanimously say is better out west. I honestly don’t know what the differences are at all except for the part where the boat floats past the Blue Bayou restaurant. I have purposely not looked up the other instances where the Disneyland and Disney World versions differ, but I’ll let you know in about 3 months. Space Mountain — The futuristic indoor roller coaster looks pretty similar, but I am told by quite a few that it is better at Disneyland. I think it has something to do with the decor and the sound system, but I’m not sure. Honestly, I don’t really like Space at Disney World very much, so I’m hoping this is true. I know one thing I am excited for is the side-by-side seating at the west coast mountain. One of the reason my kids haven’t ridden Space Mountain yet is because we’re worried they wouldn’t like sitting alone. The Disneyland version seems to fix that. General Wait Times — Yes, I know Disneyland gets very busy, but I also know that there is a much higher percentage of local visitors. My expectation is that these local, regular visitors are there enough that they’re not going to play around with 3 hour lines. Hence, attractions like Indiana Jones Adventure or the Matterhorn won’t get super-crazy lines (just regular crazy). Also, some attractions like Toy Story Midway Mania and Soarin’ Over California, both of which develop huge lines at Disney World, have much lower waits at California Adventure because, frankly, there’s more to do at California Adventure than either of the Walt Disney World parks those are found at. Food — I don’t know why, but I get the feeling Disney tries harder with the food at Disneyland than at Disney World. There are some great meals in the Florida park, but my impression is that the overall percentage of great spots to eat is higher in California. Of course, that might just be due to Guy Selga, Jr. being a Homer Simpson-like food critic (I love everything!). Tomorrowland — This takes a lot for me to say because I don’t love the Floridian land of Tomorrow. Parts of it are good, but the Stitch’s Great Escape / Monsters Inc. Laugh Floor corridor is the theme park representation of the word misplaced. Why I expect the WDW version to still be better than its California counterpart is basically because of one thing…the PeopleMover. I just can’t picture a Tomorrowland without it. Splash Mountain — I really know very little about Disneyland’s Splash Mountain except that all riders sit in a line like a small-time flume ride. Simply that has lowered my expectations. Tower of Terror — There are two things I know about the Tower of Terror: (1) My favorite part in the Hollywood Studios version is when the ride vehicle leaves the shaft. (2) The California Adventure version doesn’t do that. Haunted Mansion — Under normal circumstances I don’t think there are many differences between the two versions. What will presumably make the Disneyland house shockingly different is the Nightmare Before Christmas overlay that will be decorating the Disney domicile during our trip. It’s far from my favorite movie, but I am extremely exited to see the incredible visuals added to an attraction that I already love (well, one just like it anyway). The Castle — It looks so tiny! Size and Space — From my skills as an amateur cartographer (i.e., eyeballing Google Maps) it seems to me that Disneyland is about 3/4 the size of the Magic Kingdom. I also know that Disneyland has more attractions, which seems incomprehensible to me. Everyone tells me how much more quaint the Disneyland Resort is compared to the sprawling Walt Disney World, which seems to also be borne out by the extremely close proximity of the two west coast parks. As someone who is used to carrying children through miles of theme parks, I expect to find the smaller size and compressed space of Disneyland both exciting and disorienting. Paradise Pier — From something I’m very excited about to…Paradise Pier. I have lived my entire life on the east coast, visiting junky seaside carnivals and second-rate amusement parks. I’m hoping to be pleasantly surprised by California Adventure’s version, but you shouldn’t bet on it. World of Color — I know very, very little about this very well reviewed nighttime spectacular. I know that it has water fountains like the Bellagio in Las Vegas, but that’s about it. I’ve purposely never watched videos and have seen few photos. I have mixed, and often contrarian, feelings about Disney’s nighttime shows (I love Wishes, like Illuminations, don’t particularly enjoy Fantasmic), but am expecting to love World of Color. New Orleans Square — I am on record as loving Walt Disney World’s Port Orleans French Quarter Resort. I am an unabashed lover of the real New Orleans, Louisiana. Therefore, a section of Disneyland that evokes those memories sounds divine. 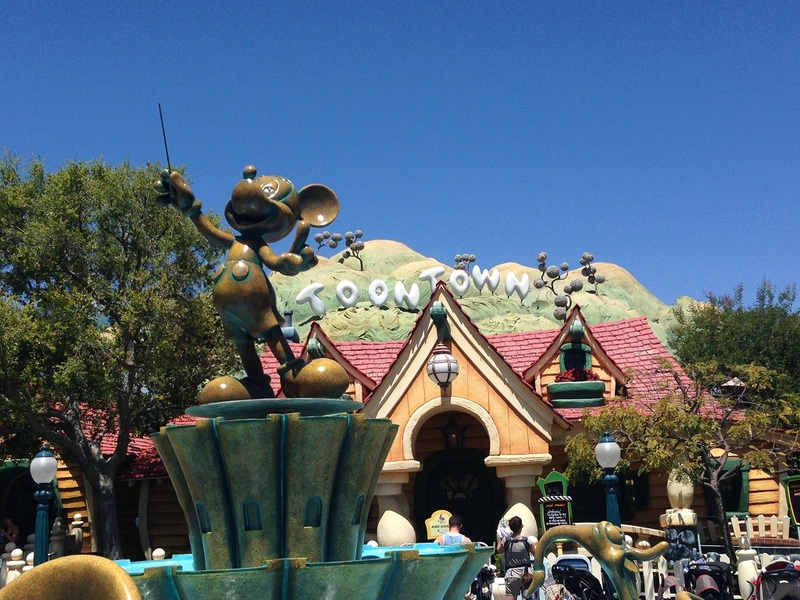 Toontown — Sure Walt Disney World had a Toontown, but that’s gone the way of the flying elephant (the most rare and endangered of pachyderms). Even so, Disneyland’s looks more thorough and, dare I say, zanier. Fantasyland — Okay, I know the Magic Kingdom has a Fantasyland, but they don’t even seem comparable, which is why Disneyland’s premier area is all the way down here. I love the German fairytale look and the fact that there are more dark rides (I have also never seen video of Alice in Wonderland or Pinocchio’s Daring Journey). I love that it’s a small world is different (and better I hear). Most of all, I love that it’s something my kids will go nuts for. As I mentioned up top, please do not give away details in the comments. Suggestions, questions, and observations are always welcome, but I intend to find out if I’m right or wrong on my own. Don’t worry, there will certainly be at least one follow-up post where I revisit this list to see how my instincts are working. Then you’ll have plenty of time to argue with me about Paradise Pier, but for now please stick to arguing with me about Illuminations. Going to Disneyland for the second time later this summer. The first time we only did Disneyland. This time we’re going to do both parks. We’ve been to WDW many times since our first trip. There are definite differences that you feel and other that you do not. Thanks for your two posts, I wish TP had more info about Disneyland though. We took our first trip to Disneyland last September. You’re pretty spot on with what you expect to be better. Pirates is better for many reasons; riding through the Bayou is only one. At Space Mountain the cars are different which, to me, made the ride better by itself. We saw Haunted Mansion with the Halloween overlay so for that reason it was very different, but apart from the entry/queue where there are some significant differences, it seemed much the same. Also, Disneyland is smaller but it really seems bigger due to the amount of attractions. I think it’s because they got really creative with attraction placement. They’ve used their limited space really well. They can’t spread out like they can in Orlando. I’m going to try to comment on this quickly without going into details. So I’ll just mention a few things that stick in my mind from my one and only visit to Disneyland that sort of go along with what you’ve said. 1. Size was the biggest unmistakeable difference. From the direct parking lot to park tram ride (the missing Seven Seas Lagoon is striking) to the overall size of the park. You’re in the hub, take four steps, and you’re in Tomorrowland. Insanity. 2. Yes there is A LOT to do. It’s like instead of a Disney World park where every ride is an event, it’s like Knoebels. Only instead of the many many rides being things like bumper cars, Tilt-A-Whirls, and Roto-Jets, they are all AWESOME DISNEY RIDES. And they are everywhere. 3. I don’t know if the food options are BETTER at Disneyland than the Magic Kingdom but there are definitely more of them. 4. Splash Mountain and Pirates. Leave it at that. 5. You forgot to mention the Matterhorn. That’s fine, it was closed when I was there anyway. 6. Go to see Mr. Lincoln even if the kids are bored to tears by it. You really need to see it…for a couple of reasons. 7. Don’t fret about wait times. As an experienced (and in your case PROFESSIONAL) Touring Planner you will have no problems. I went on a weekend in the summer and followed the Touring Plans one day plan and managed to do everything I wanted except for maybe 1 or 2 rides and that was because of slow moving family members, not the plans. 8. You also didn’t mention Disneyland’s Downtown Disney that is a very bizarre amalgamation of a few common Disney World sites. I’ll let you discover that for yourself too. As a ‘veteran’ of both parks, I am reading your post with amused anticipation (as one listens to a small child declare how the world is/should be). I will be very interested to hear your impressions after the fact! Pssst…. with those ‘local crowds’, make sure you are up early every morning for park opening (and Magic Morning, for the day you have on your park-hoppers). You will be amazed how much you can get done with short lines before the locals hit the park around 11 am – noon. I grew up going to Disneyland starting in the 1950’s. Pirates has a couple of distinct differences that are missing in the WDW version. You won’t have to look for them. Dining at the Blue Bayou is awesome. The Matterhorn is a must for me. My word for Disneyland is “intimate”. I’m a DVC member who uses most of her points at Disneyland. Your expectations are pretty accurate, but I have a couple of thoughts. 1. 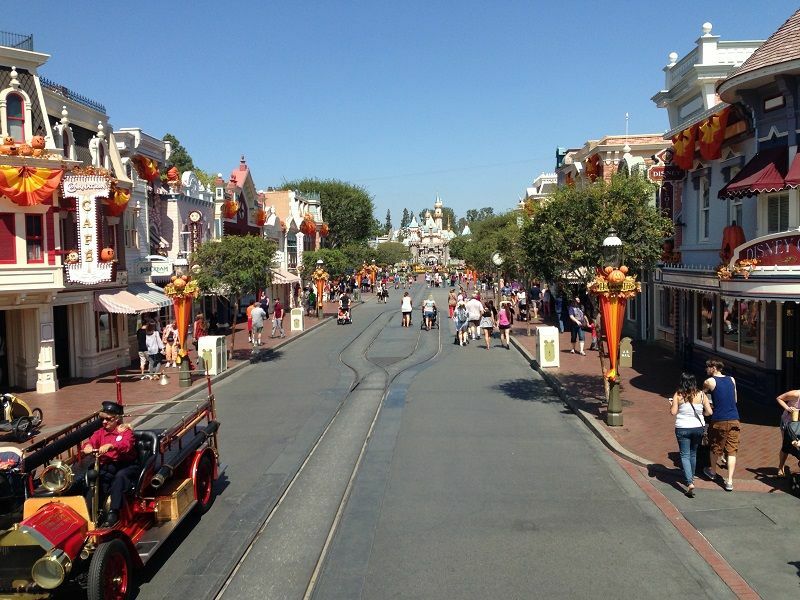 Crowds – I’ve always found Disneyland, on crowded days to be very crowded. Because there are only two parks, and they are co-located, lots of locals are there, and since they can go any time, they don’t mind the lines. 2. Splash Mountain – It’s been a while since I’ve been to the Magic Kingdom version, but I don’t think the seating layout makes much of a difference. It’s not your small-time flume ride. 3. We’re taking my nieces to WDW in December. This is their second time, and last time they didn’t have time for the MK. They’ve never ridden a people mover. In Disneyland, the tracks are still there – it was briefly Rocket Rods, but they took that out, and now they are just empty tracks. 4. 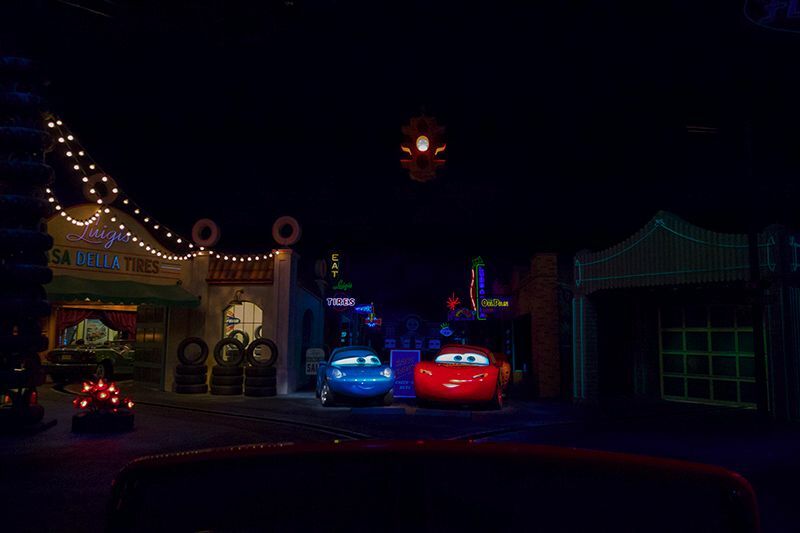 Cars Land – awesome. We were there in a very non-busy time in September, and Radiator Springs had a very long line. Get a fast pass. Pirates of the Caribbean at Disneyland is twice as long in duration and has two drops (which are required to go under the berm and into the show building). Space Mountain at Disneyland is a single track with side-by-side seating, has a pretty loud soundtrack, and the ride is smooth; at the Magic Kingdom there are two tracks with tandem seating, a minimalistic soundtrack, and the ride is not so smooth. The MK version is similar to the Matterhorn. Indiana Jones is similar to Dinosaur at Animal Kingdom, but the execution and “show” is better with the former. The castle at Disneyland may be small, but you can always walk through it AND experience the Sleeping Beauty walk-through. The Magic Kingdom is about 25% larger in area, but there are many under-used areas there. Disneyland, with its smaller size, uses practically all of its acreage on attractions, shops, restaurants, and miscellaneous areas (and there are more attractions at Disneyland, to boot). I hope you have a great time! Let us know after you come back. Thanks! What time is the Cars Land neon lighting ceremony? Is it at a specific time or at dusk? First I have heard of it and it sounds like a must see! Always at the moment of sunset. It will be listed in the times guide or you can check sunset time on your phone’s weather app! I recommend you stand between Sarge’s and the entrance to CL, in the middle of the street. Enjoy! We are a familt that loves WDW and have visited each year for the past 4. Just 2 weeks ago we traveled to CA to check out the parks there. Like you we had a list of things we knew would be different as well as a list of things people told us. Many told us how disappointed we would be in the CA version of the parks. I will say we had a great time and are planning to visit again soon. Have fun! My family and I are in a similar situation, just opposite. We are planning our first visit to WDW. I went once in 1986, but that was before much of the resort was added so it doesn’t count. :p. we are so looking forward to seeing what is the same and what is different. I’m hoping things aren’t too alike because there would be no point for a return visit. We hit Disneyland once a year and love it! I can relate to this post 100%. My husband and I are going to Disneyland the first time this September after being longtime WDW visitors. These are almost exactly the same thoughts/preconceptions we have. I can’t wait! But we are SOOOOO disappointed the Matterhorn is going to be down for us too. It will be Halloweentime so getting to see the Haunted Mansion overlay, and I hope, Space Mountain Ghost Galaxy kind of makes up for it. All I want to say about the castle is this: WALT PICKED IT HIMSELF. Yep, it’s tiny. Maybe it was a budget issue at the time, I don’t know. And I contend that if Walt had been alive to choose a castle for Florida, he would have done exactly what they did and built it 199 feet tall. Disneyland is like your first home, and Disney World is like the bigger house you move to after you get the big promotion. It’s bigger, but not necessarily better overall. Ann VERY WELL SAID and spot on! Being frequent land and World visitors ….World of Color cannot be missed! It’s like nothing we’ve seen and our kids LOVED IT!!! I love the comments on this post, it’s really making me want to plan a 2015 trip to DL so we can experience the Haunted Mansion overlay and super special Space Mountain among other things, (but that was a given anyway). If you like good food, make sure to eat at the Carthay Circle Restaurant in DCA. The food there is excellent, like worth the money even if you weren’t in a theme park excellent. Like people making Harry and Sally noises at the next table excellent. The menu changes seasonally. You can even order off the special WOC menu and get into a reserved section of the World of Color. Even with reservations, if you are going to the first show, get there early. The show is awesome (I will not spoil it past that) but the viewing section is not. I prefer getting there early for the second show with my restaurant reservation and then booking it down to the very front (I bring a poncho, because you WILL get wet- sometimes a little, sometimes buckets poured over your head as you laugh at the teenagers who were mocking you for wearing a dorky poncho and are now shivering because here in CA it cools down at night and those shorts and tank top they wore all day were chilly even before they were water soaked) but whatever section you are in, you want to be in the front of that section. Railings are your friends. Sidle up to them so people don’t get in front of you. The Carthay lounge has a different, much smaller non seasonal but also good menu. Get the tacos. For Fantasmic- if you can’t find a good spot down front, the bridge over Pirates is a very good spot that fills up later than the lower area. You’ll have to stand during the show though. If you want to sit, bring a blanket and stake that space out hours early. I seemed to notice something last year when we went to Disneyland in June. It seemed that each day a few rides closed unexpectedly throughout the day with no known reason or timeline for return. They also cancelled the Disneyland fireworks on the one night we planned on watching it due to weather. In this case it was a slight breeze. I seem to remember Magic Kingdom or Epcot fireworks going off in stronger wind conditions before. It all led me to wonder if this was another aspect of the “local park” vibe. Operations isn’t so concerned about “up-time” because the locals will have the attitude of “we’ll just see it next time”. Where as in Florida where most guests are having their more rare visits, Operations is driven more for 100% “up-time”. It could have just been a weird few days that we happened to hit as well, and was pure coincidence. Would love to hear if you experience something similar. James, I’ve noticed that, too. With regards to the fireworks, if one goes astray it could land on someone’s house in Disneyland. At WDW, if one goes astray it lands in wilderness. Pirates, Space Mountain, It’s a Small World are all noticably better at DL. Rides like the Little Mermaid have just a basic queue and 5 min or less wait. Toy Story is always a 20-30 min wait. You’ll love the Monsters Inc. ride. Also, while Dinosaur was meant to be the parallel to Indiana Jones, the difference is Dinosaur is an okay WDW ride, Indy is one of the best rides at DL. If you can stomach it, try the Roger Rabbit Spin ride. And if your kids are into villians, be sure to go to Big Thunder Ranch and be part of conjuring a villian! Long time WDW traveler who went to Disneyland once- it was incredibly disorienting and weird for me- but not necessarily in a bad way. I only had one day there which I think made it tough for me because I didn’t have a chance to adjust. The whole time I just kept thinking “this is so weird”. Brian, Thank you for your post. I’m excited to see how this works out for you. I’m in the same boat – a regular at WDW but never to DL and few pre-conceived notions. I’d like to take my family to DL, especially my son to Carsland before he outgrows it. But I’m wondering WHAT ELSE you plan to do on this trip, since DL may only take 2 or 3 days to tour completely (unlike WDW where there’s tons to do for a week on-property, even without hitting the parks daily). I hesitate to trek it all the way to CA just for 2 days at DL. Your thoughts? Carsland is awesome! We did a week out west and spend three days in Disneyland/California adventure, one day at Legoland, and two days at the San Diego zoo and Safari park. My son was five at the time and loved it all! When we go for a week to the Land, (4 day park hopper) we generally will spend two days in each park. True, what they say that parks are smaller than at the World, but we have always preferred to tour by lands by day…Day 1 at the Land, Tomorrowland and Fantasyland then hit two areas at California Adventure the 2nd day, back to DL on 3rd to finish out the hub and the fourth day we bounce back and forth. I think CA adventure is really a 1 day park for everything if you plan it right and use Magic morning. Our first family trip out there we made the mistake of putting LEGOLAND in the middle of our trip. Since we went in the fall it was off season for LEGOLAND and after being at Disneyland and CA Adv. the first two days, the kids were a little disappointed. If anything hit LEGOLAND first then decide how you spend your time at the Land. Don’t forget that D’town Disney is pretty fun and there is always stuff going on as well as making time to tour the refurbished Disneyland Hotel. The lobby installations are AMAZING and the lobby of each tower has its own theme. Definitely worth some time to explore! You son will never outgrow Carsland….get ready to be blown away and watch the movie as a refresher before you go. You will be so amazed at how very much like the movie it is. My family always gets a 5 day park hopper and I have never felt like I have done everything! I believe that thinking DLR can be “completely toured” in 2-3 days is one of those pre-concieved notions that are based on size. We also get the 5 day park hopper pass because we like to take a little more time enjoying everything in Disneyland from all the shows,the pirate island, to the meals, fireworks and world of color, and of course all the rides. We try to do a day at Disney a day a California land then a day off to somewhere else, back to a day a Disney another day at California land and the last day we hit all of our favorites and do our shopping. You can do a more relaxed pace and if there is a longer line up you can always come back at another time. This also gives the kids time to ride their favorite rides as many times as they want( we once road Grizzly river Run 6 times in a row, the kids thought it was a blast to get Mom and Dad as wet as they could). We live in Canada and travel a long ways so we soak up as much of Disneyland as we can. My seven-year old’s first ride on Space Mountain was in Disneyland. He loved it there! When we came back to Disneyworld and he had his first ride there, he didn’t like it because he prefers to sit beside us. He even didn’t care for Splash Mountain, one of his favorites in Disneyworld, in Disneyland for the same reason. I’m a AP holder at DL and also have more than 30 visits to WDW as well, I can honestly say one of the “little” differences I love is the Storybook Land Canal Boats. I just adore this attraction! If you plan to experience it, I highly recommend an early morning, it’s basically not viewable at night and the line gets long-ish quick. Enjoy the Happiest Place On Earth! The line up for the Haunted Mansion at DW is worth the wait in line. There’s nothing like it at DL. We let people pass us in line as we ogled all there was to see. There are different things I love about both parks, but my opinion differs from most on a few of the attractions. I guess if you are a WDW Luxury guest, the disney hotels make sense. But for me, staying right across the street at the best western was priceless. I go to WDW every few years, for 8 or 9 days, so the hotel and wide choice of restaurants are a big deal. Love French Quarter and a Signature meal every day. 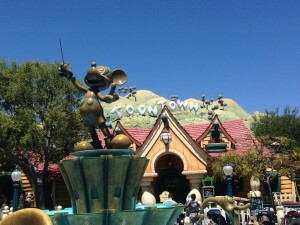 For me Disneyland is a quick trip where we stick close to the touring plan and squeeze it all in in a few days. One piece of advice – if you have little ones, carry them straight to Peter Pan! Both days I was early enough to be right at the rope in the right position, yet by the time me and 6 and 3 year olds got to the line it was already a 25 minute wait! We walked on everything else in Fantasyland. Pirates of course, there is no comparison. I could skip POC in WDW, it makes me a bit sad. There are aspects of HM that are better in Disneyland, but I can’t wait to see the new hitch hiking ghouls in Florida! Anyone know if that will be coming to California soon? Guess I’ll have to wait until our WDW trip next year. Personally I hated Space in DL. No real drops, just constant nauseating turns. I prefer the drops at the world. I also prefer Splash at Disney, partly for nostalgic reasons – they stuffed all the old ‘America Sings’ animatronics into the last bend of the ride. I get choked up hearing that. I also prefer the more traditional log flume configuration. Lastly, I’d opt for the Fantasmic dessert party! Great seats, and I’d much rather be on rides than camped out for hours. If there are 2 showings of Fantasmic see the second and you will not have to stake out your spot for as long. When you see World of Color I would recommend the second show as well. If you don’t want to get pressed against the rail or wet, try watching from the top of the stairs above the viewing areas. After going to WDW several times, I had my first trip to Disneyland a couple of months ago, and was just there again last Thursday when I happened to be in the area with nothing to do. I love Disneyland, and it is both warmingly familiar and surprisingly different all at once. I heard someone say that it is like being in your house, except someone has rearranged the furniture and painted all of the walls a different color, and I think that analogy is spot on.